Vienna, the largest city in Austria, is a city filled with imperial sights and cultural events that sets itself so memorably apart from other large cities through its impeccable architecture and cultural events. Thankfully, remainders of the city’s history have been carefully preserved by its tradition-loving Viennese so it’s easy to walk the streets and experience what Vienna once was. 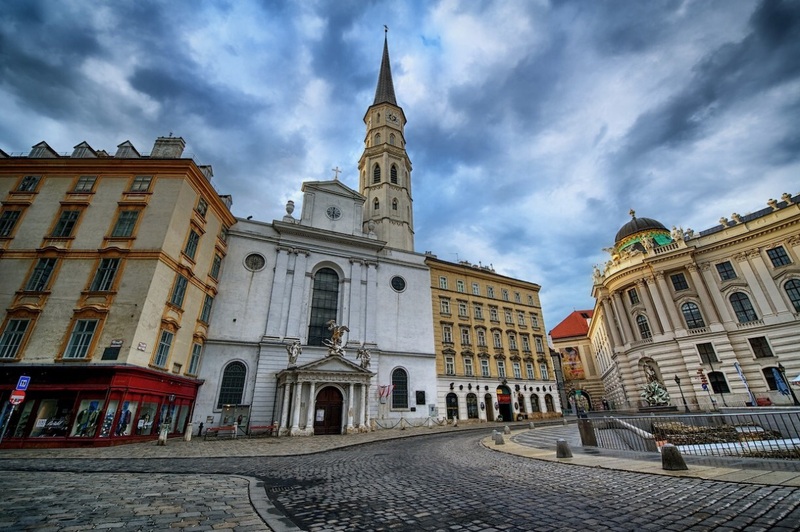 Also, the hotels throughout Vienna have incorporated the beautiful history and culture that is Vienna, making it a pleasant stay for all travelers alike. It’s always a pleasure to visit Vienna and the hotels have added to the experience. Take a stroll through history and elegance and find below the top luxury hotels in Vienna. Looking for a night’s stay that you’ll never forget? K+K Hotel Maria Theresia does not cease to amaze with its Austrian hospitality and distinguished ambiance. It’s strategically located directly in the city centre of Vienna and only minutes away from Hofburg Palace and the city’s most famous shopping street, Mariahilfer Strasse. Known for its incredibly friendly staff and prime location, Hotel Am Parkring is at the top on our list of best luxury hotels in Vienna. For those who wish for a comfortable stay before a flight out of the city, you’re in luck because Hotel Am Parkring has a shuttle service to and from the airport. With great views from your guest room balcony, you can’t go wrong at this Vienna luxury hotel. This 4-star hotel is a memorable one, with its full-service spa, 225 individually decorated guest rooms, and a health club with a sauna. Just steps away from ARCOTEL Wimberger Vienna is Vienna’s Central Library and Stadthalle, a personal favorite and renowned local attraction. This luxurious holiday hotspot will not disappoint, whether you stay here during a business or pleasure trip. A beautifully decorated hotel, within walking distance of St. Mary on the Strand (Maria am Gestade) and Sigmund Freud Museum, is what you will find at Palais Hansen Kempinski Vienna. If you’re looking for travel mixed with wellness, you can take advantage of the hotel’s amenities, among them an indoor pool, full-service spa, sauna, and steam room. There is nothing you can’t find at this 5-star hotel. A classic luxury hotel for your stay in Vienna, Hotel Kaiserin Elisabeth is a top choice for most travelers due to its location and hospitality. There are 63 relaxing rooms equipped with a fireplace and flat-screen TV — something that’s not found in most other hotels. Plus, the property is close to Mozart’s Figaro House, the composer’s Vienna residence, and Imperial Crypt. Step into luxury at 5-star Sofitel Vienna Stephansdom, a hotel just minutes away from St. Stephen’s Cathedral and Schwedenplatz. You can enjoy a day of relaxation in your favorite suite with the rainfall shower head and soaking tub, or head down to the hotel’s spa treatment rooms, which include sauna rooms, spa tubs, and more.